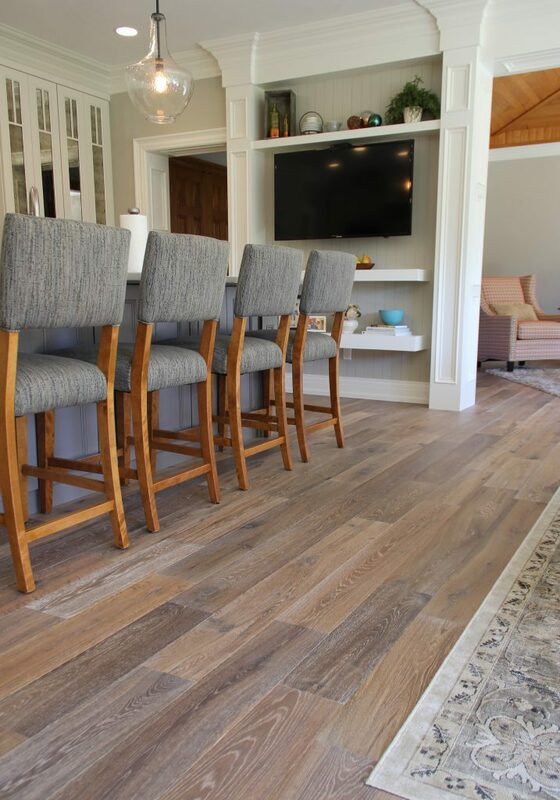 Once your beautiful hardwood flooring is installed, there are a few things that you will want to do to keep them looking and performing their best for years to come. 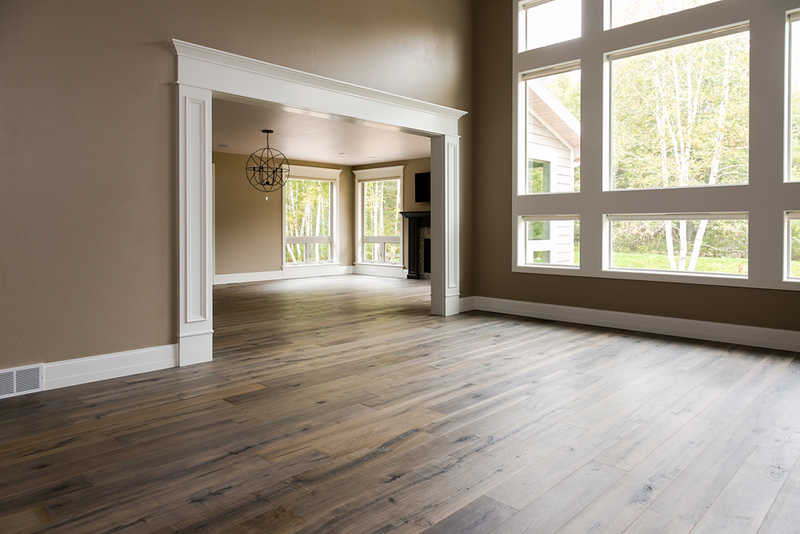 Understanding each aspect of your new floor will also help you enjoy your new investment! First, it is important to recognize that regular maintenance may vary depending on use, wear and lifestyle. Wood is a naturally porous product that will expand and contract as seasons change. Excessive moisture or humidity can cause buckling, cupping and gapping if not properly maintained. Depending on the season, you may want to use a humidifier (dry/winter) to prevent shrinkage in wood floors due to low humidity or a dehumidifier (humid/summer) to maintain proper humidity levels. This will help protect your investment and assure that your floors last for years. Part of the natural beauty of real wood is the variation in grains, shades and colors that you get in the same piece of material. While extreme variances are rare, it is impossible to guarantee a perfect level of consistency in regards to grain, shading and color. Keep in mind, color fading and/or darkening is a natural occurrence caused by exposure to UV rays (direct sunlight) and is not considered to be a product defect. All species of wood will experience color change due to exposure to light and natural aging. It is important to discuss the characteristics of the floor species you selected with one of our designers before install, as some species will go through more significant changes than others. While area rugs and mats can be a great way to protect your wood floor from furniture and wear in high-traffic areas, there are a few things to keep in mind. 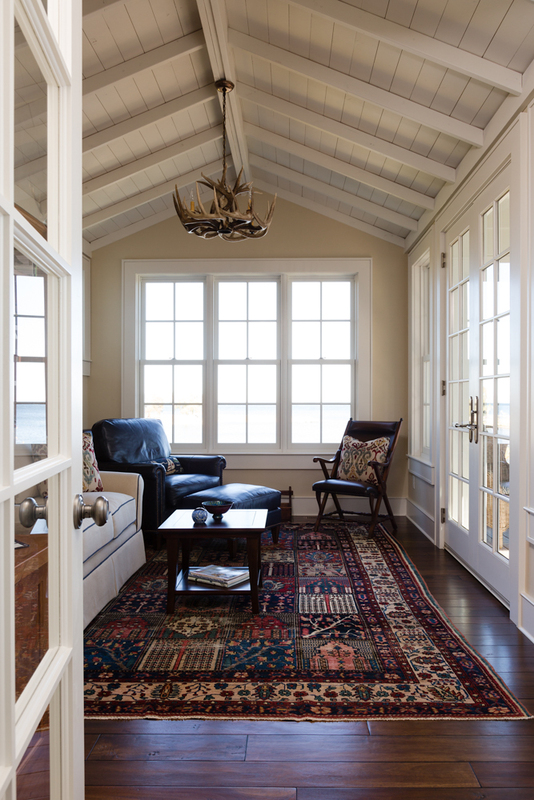 Be wary of the placement of large area rugs in spaces that have a lot of direct sunlight, as it could cause a noticeable color difference over time due to sun fading. You also want to make sure that your new or old favorite rug has no sticky backing, or backing with plastic that can be harmful to your floors. Natural rubber, untreated natural fiber, jute, and urethane mats/rugs are highly recommended. Finishes on pre-finished floors vary from product to product. Keep in mind that some species of wood are much harder than others. All wood floors will scratch and dent regardless of the finish that you choose, but this only adds to the true nature and character of hardwood. To prevent major damage, we suggest using floor protectors on appliances and furniture, as moving them can cause damage to your hardwood floor. Rugs and furniture pads will help prevent scratching due to sliding furniture and high traffic patterns. Water, humidity, stones, and animal claws are just a few things that can damage your floors, so keep this in mind before committing. Exotic woods tend to be harder and denser than others, for example, hickory or hard maple and can be more dent resistant. Keeping your floors looking beautiful requires special cleaning. Simply wet mopping your floor using water is never good for the finish or the wood. Our designers at H.J. Martin and Son recommend using Armstrong Flooring Hardwood & Laminate Cleaning Spray to properly clean your Armstrong hardwood floors. The full package includes an Armstrong Flooring swivel head mop, 3-piece handle and reversible, washable terry cloth cover and ready to use hardwood and laminate floor cleaner spray with a fresh citrus scent! For the best results, we also recommend using a vacuum brush attachment to remove any surface dirt and debris before cleaning your floors. Contact H.J. Martin and Son’s Floorcare division at 920-321-3414 12 to 18 months after installation for cleaning in order to maintain your floor finish. 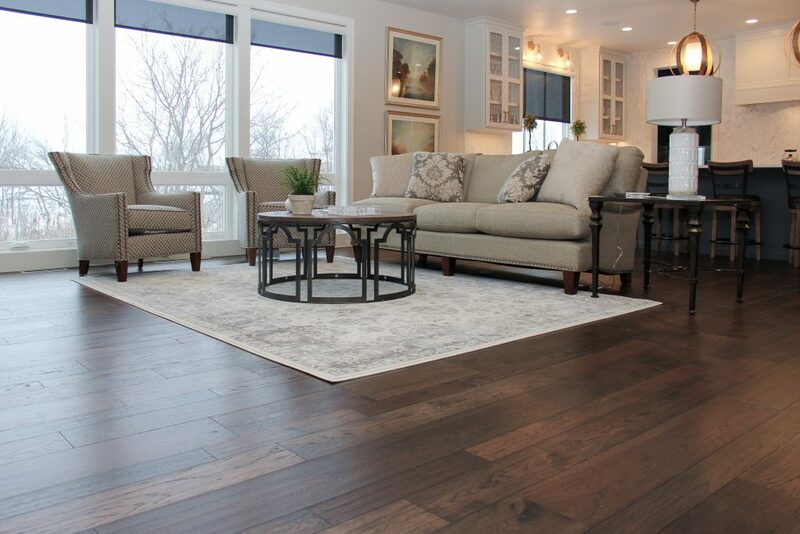 See more of our hardwood installation projects in our gallery! 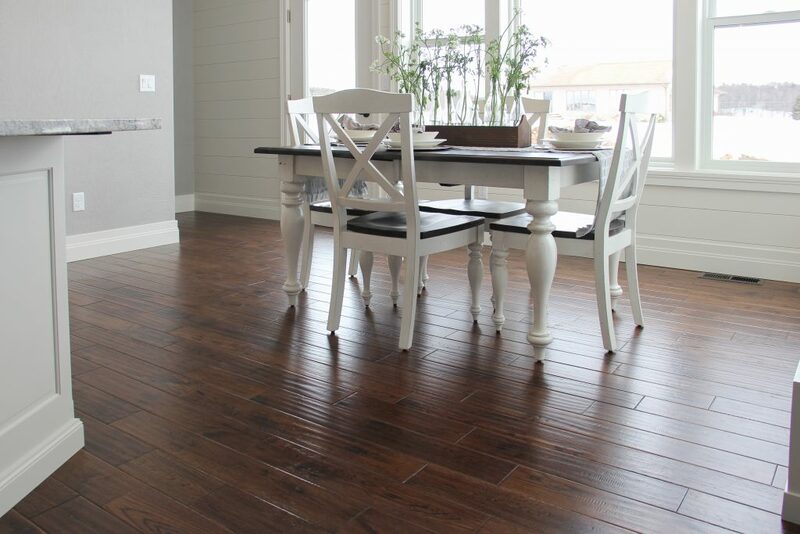 If you are still looking for new hardwood to purchase and install, see some handy tips here.